Tour De France, Champs-Elysees, July. 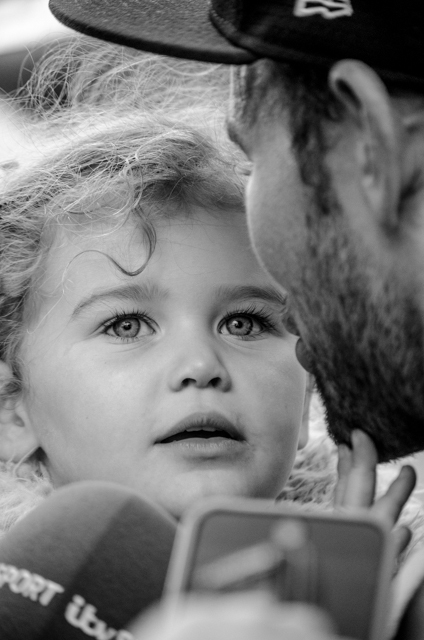 Delilah was delighted to be in her daddy’s arms, Mark Cavendish, at the finish in Paris. Watching this was so special – loved ones reunited after three weeks of hard racing.